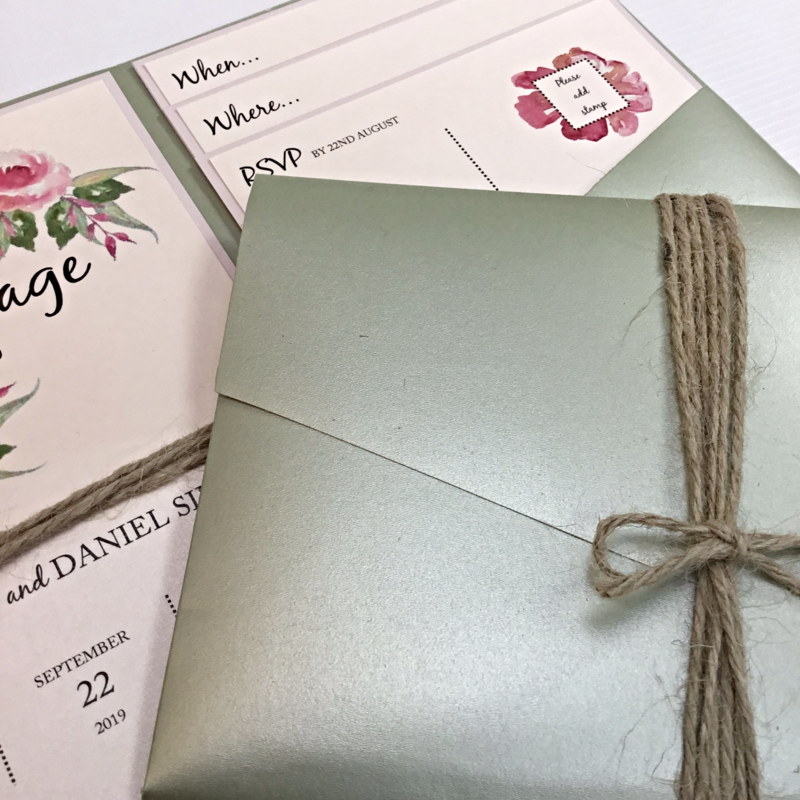 Home > Handmade Invitations and Inspirations! 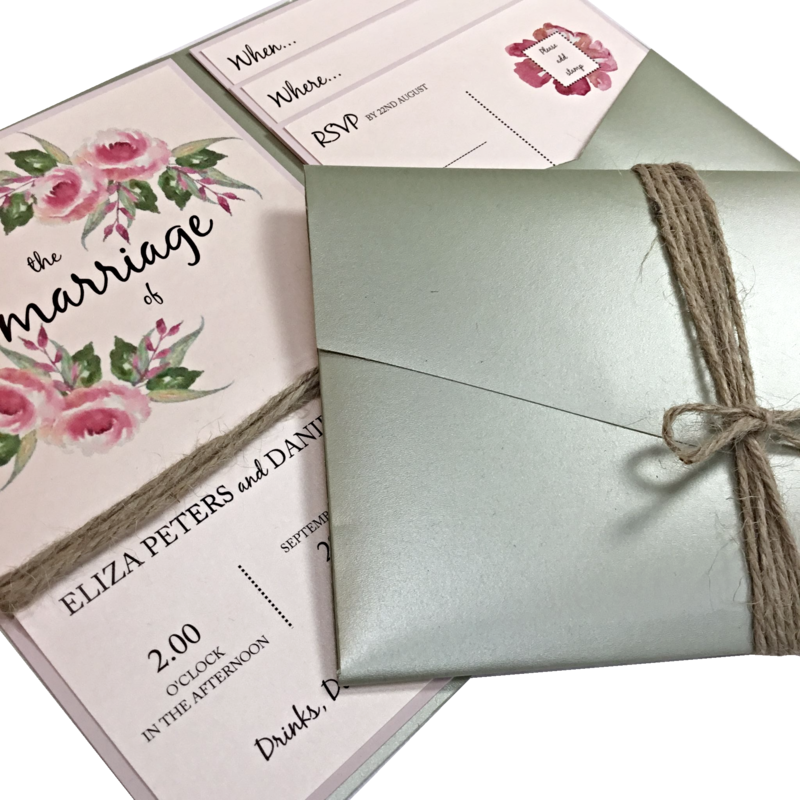 Beautiful soft pinks and greens make up this pretty summery invite, all bound together with a little twine. Just perfect for any blushing bride! 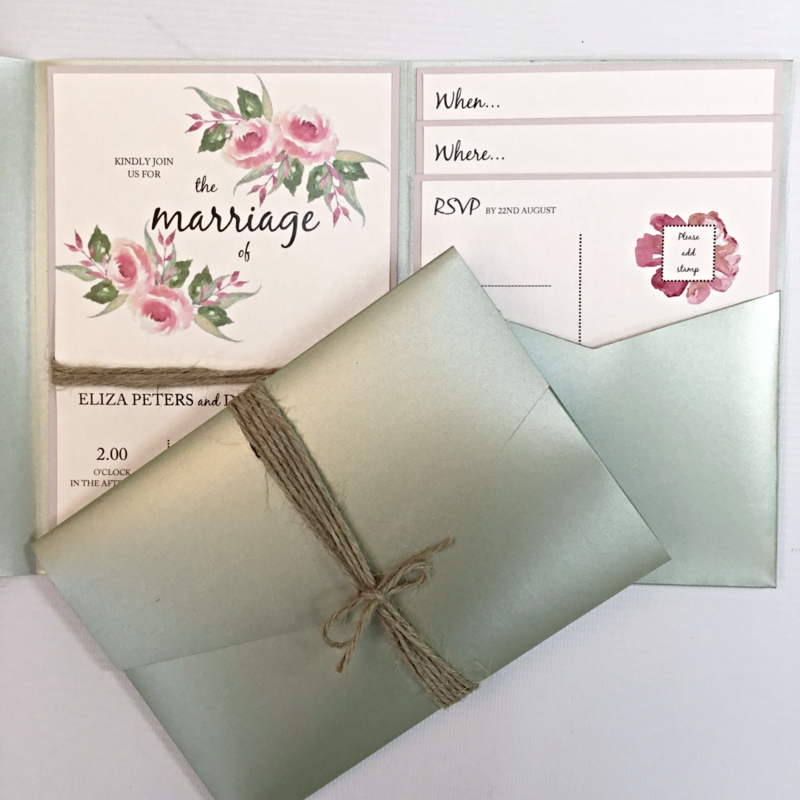 Each invitation comprises of a Sage Green Pearlescent Debut Pocketfold Invite, sold with a fully printed invitation mat, 2 fully printed inserts, a double-sided RSVP postcard. All beautifully bound together with a helping of rustic string. 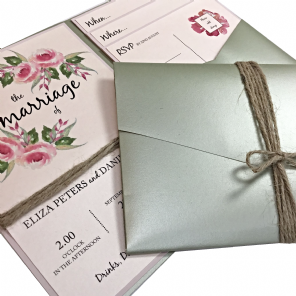 Naturally outer envelopes and printing are included in the cost too, so basically what you see is what you get! 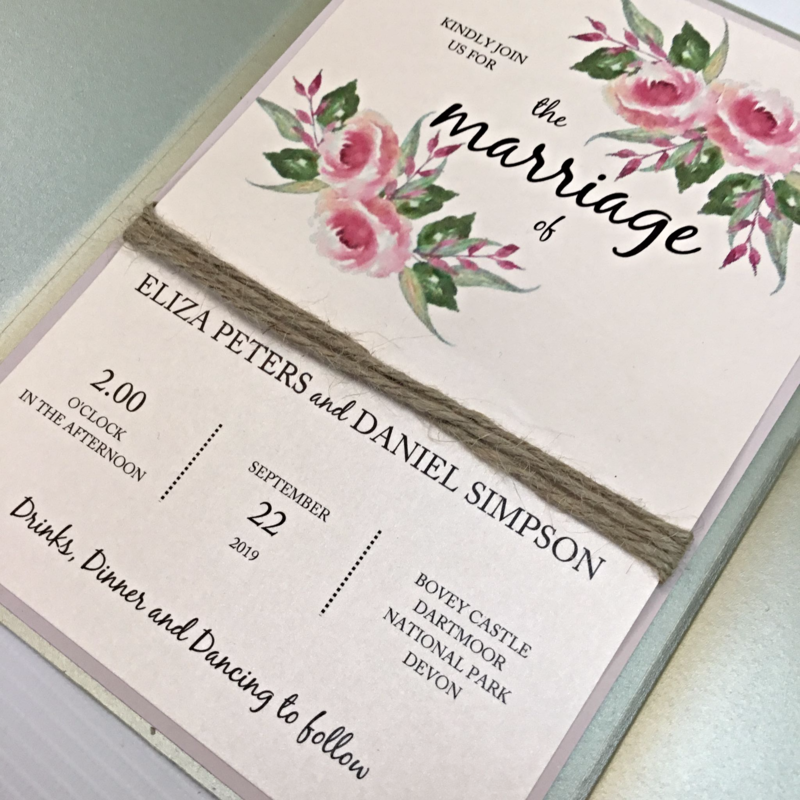 If you would prefer to make this invitation yourself, we've made the process as easy as possible by listing all of the components to the right of your screen. Enjoy! Once you've placed your order please download and complete the templates below then email them to us quoting your reference number. We will then provide you with PDF proofs for your approval prior to production.